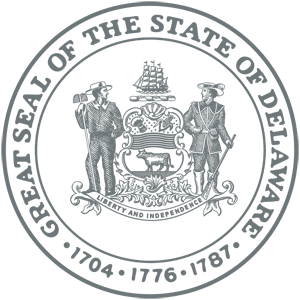 Diane Laird is the owner of Simple Joys, LLC. Her "signature style" combines watercolor and pen/ink to create paintings that exhibit rich color, transparency, and meaningful subject matter in a realistic context. 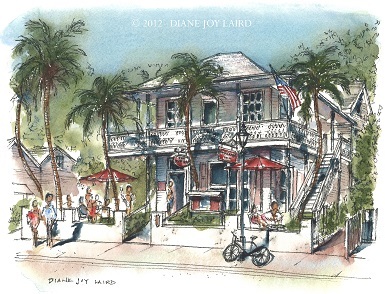 Her 15 year background in architectural detailing and perspective drawing, along with her current profession in downtown revitalization, naturally directs much of her work toward historic architecture, although she finds that a wide variety of imagery and subject matter keeps things lively and enjoyable. Her work evokes a sensory and meaningful response in the viewer...joy! "I strive to create paintings that exhibit an imaginative and beautiful blend of delicate detail and colorful washes with an approach that is clean and crisp, yet as gentle as the medium of watercolor at its best," says Laird. 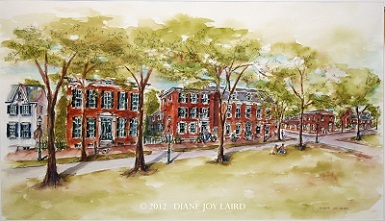 Laird is currently well into a series of paintings of familiar scenes in Rock Hall, MD and sells them at The Hickory Stick on Sharp Street in downtown Rock Hall. 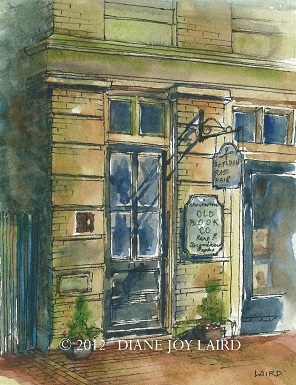 She is a member of Chester River Arts in Chestertown, MD where she also paints frequently. 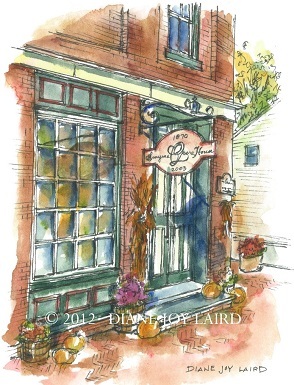 As a resident of Middletown, DE, she paints throughout Delaware. 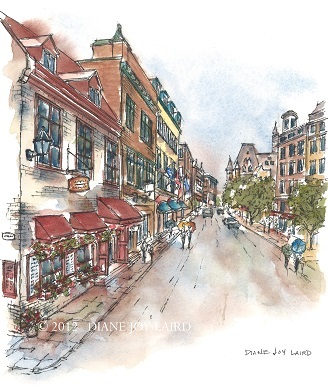 Laird has earned several honors for her work including second place in Dover's 2012 and 2013 Plein Air Paint Outs, and first place in the professional category in the 2013 NAP Delaware state employees exhibition. She has also been commissioned to create work by the Cendel Foundation.